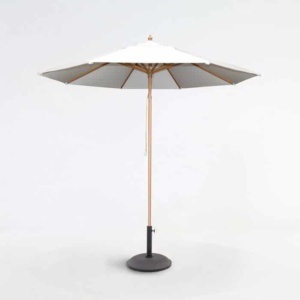 Classic, strong and stable; the Round Concrete Bases are a perfect fit for the market and Sunbrella Umbrellas at Design Warehouse! A popular choice, for their simple design, lofty weight and size options; the Round Concrete Bases are neutral enough to suit any space! Available in small, medium and large so you can chose one that fits the size of the umbrella you have chosen, the space it is going in and you can buy one that is heavier or lighter depending on wind in the area. 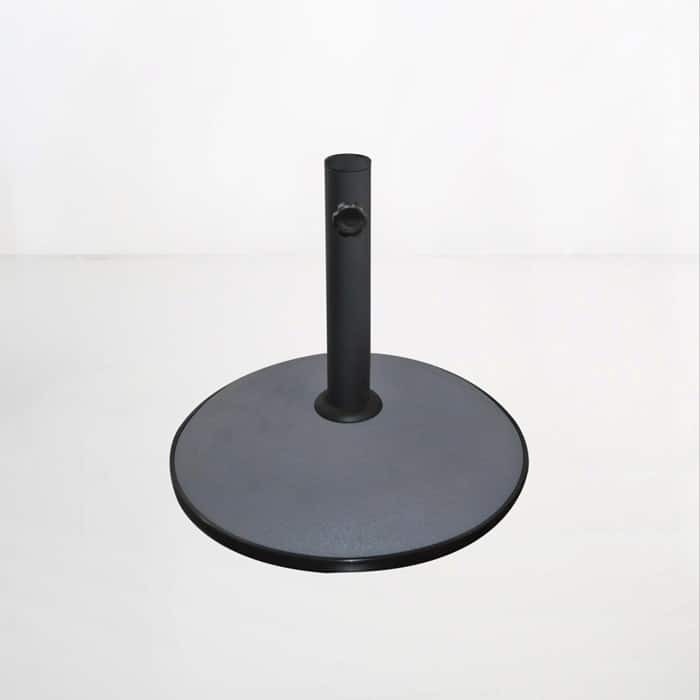 These classic Round Concrete Bases feature a rounded rubber ring around the bottom of the heavy concrete to avoid scratching deck or tiles. Purchase a Round Concrete Base in medium with one of our 2.7 metre umbrellas for your breakfast spot, pop a small round teak table and a couple of comfortable teak folding chairs underneath and get ready to serve in style! 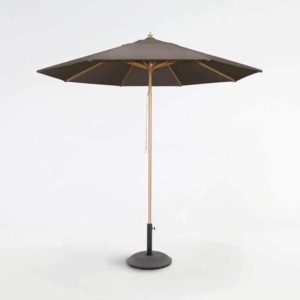 Place a Large Round Concrete Base beneath your large 3 metre table, and put a 3.5 metre brolly through, you’ll be able to enjoy hours of wining, dining and reclining in the comfortable shade! The Round Concrete Base is just one of the many choices on offer at Design Warehouse, peruse our website or call us today to discuss what option will best suit you!